Home / coiningai / cryptocurrency / You have to HODL tight on the crypto roller coaster — Belief makes it easier and fun! You have to HODL tight on the crypto roller coaster — Belief makes it easier and fun! You have to HODL tight on the crypto roller coaster — Belief makes it easier and fun! Coining.AI tools to research coins can help you find the right coins to survive the crypto roller coaster. You have to HODL it tight in a roller coaster. Having the belief that you are not going to fall, makes it fun! Investing in the cryptocurrency market is a roller coaster ride and if you want to succeed, you have to hodl it tight. You can only hodl on, though, if you trust that the coin in doubt is going back up again, otherwise it’s smarter to take the loss and at least get some of your investment money back. 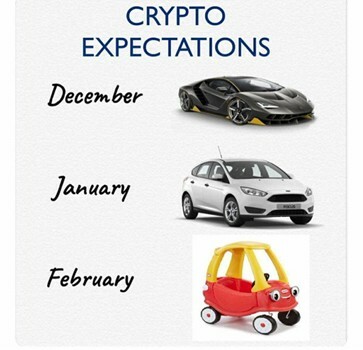 A very common situation for a crypto investor is: one day you think you are going to buy a Porsche, but the next month you think a new Toyota will just do fine, and the next month an old Ford will do. The next month, the roller coaster takes you up and you are buying a Porsche again! This sort of roller coaster ride is one you’ll almost certainly experience as a crypto investor. The key to withstanding the exhausting ride, however, is research. It all comes down to having confidence in your coins and looking forward, not backwards. 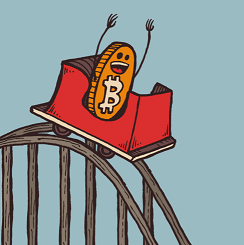 If you have confidence in your coin, you can enjoy the roller coaster while everyone else panics and loses their hard earned money! The word HODL came from a reddit user, who misspelled the word HOLD, but it later gained popularity and became part of crypto investment vocabulary. The concept of HODL centers around holding the coins when the market dips. In these situations, everyone panic sells and the price keeps going down, which in turn triggers stop-loss orders for many traders. These stop-loss orders cause even more people to sell at a loss at a lower price and the price keeps going down. 3/ This becomes a self-fulfilling prophecy. People afraid of price crashing, sell their coins, and cause the price to actually crash. IMO, hodl is the best move to ride this out. And buy the dip. That said, don’t ask me to buy LTC as I decided to not trade LTC for other reasons. Most of the time, holding is challenging. With all the drama, craziness and uncertainty in the market, every time a small piece of FUD (fear, uncertainty and doubt) spreads, the market suffers. Price corrections are common and they can be a good opportunity for seasoned investors to buy coins. That FUD, however, often causes novice investors to lose their hard earned money. This could easily be prevented with strong research and having confidence in the coins you buy. Fundamental research is required to avoid FUD, be it for cryptocurrency or traditional stocks. If you know that something has a great future and believe in a specific coin, you can buy that coin / stock when the price is really low and when there is panic in the market. Then, when the price is high and other investors put confidence in the market, you can sell some of your holdings for a profit. Check out our other article on how to take out periodic profits and some other investment strategies. This way, you can actually enjoy the roller coaster! This is easier said than done, but people who ride the roller coaster properly can make money and those who can’t end up on the losing end. The latest news for a given coin from the top sources on the web. Top youtube videos (based on view count) for a given coin in the last hour, last day, last week and last month. 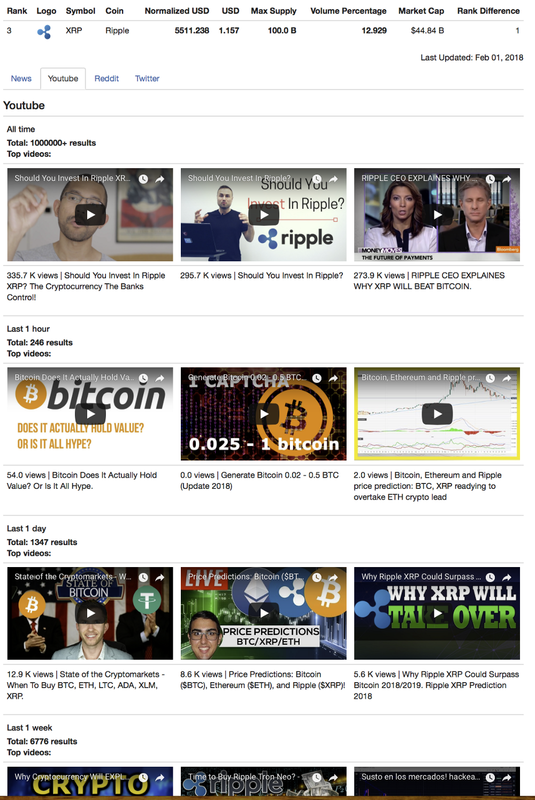 Additionally we will display all time top videos for each coin as well. These videos will help you learn what a coin is about and what notable influencers are saying about it. 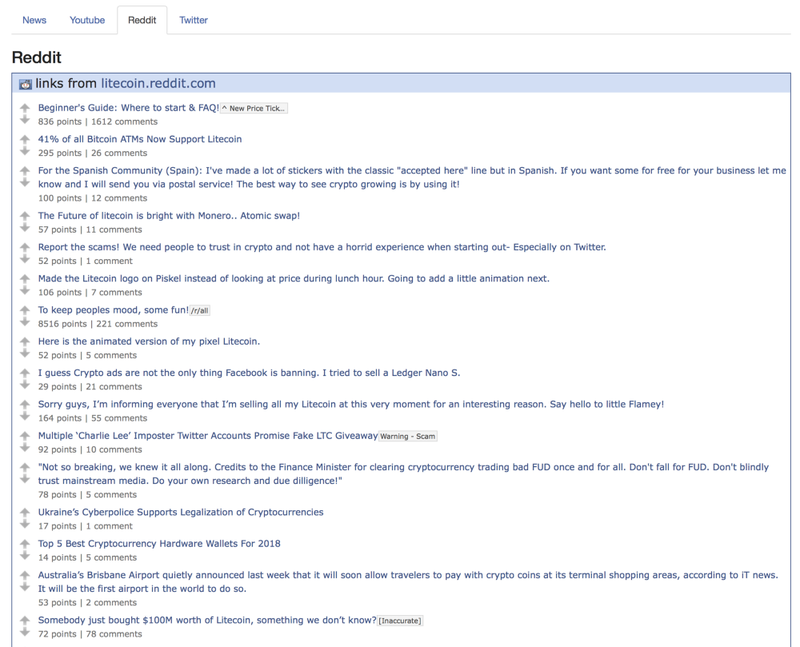 Reddit posts for the coin’s subreddit page. This gives you the sense of the community — what they are talking about, what they are worried about, and what they are excited about. 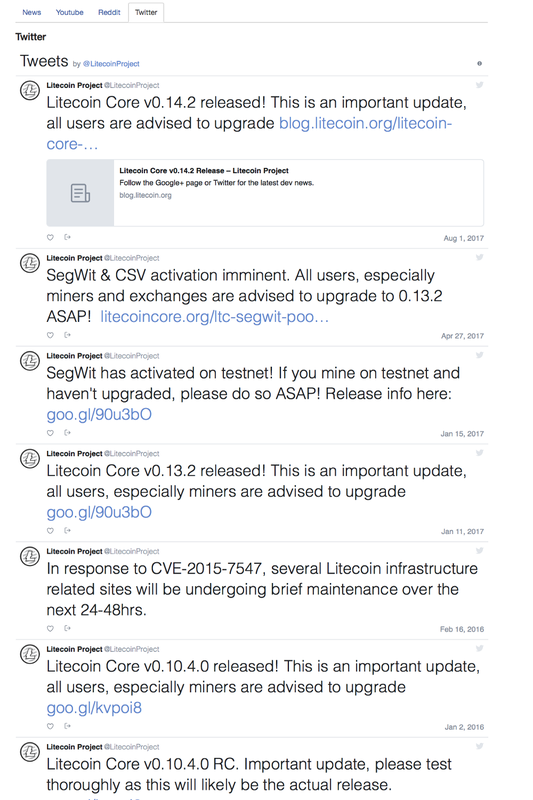 Official Twitter accounts for the latest updates from each coin. 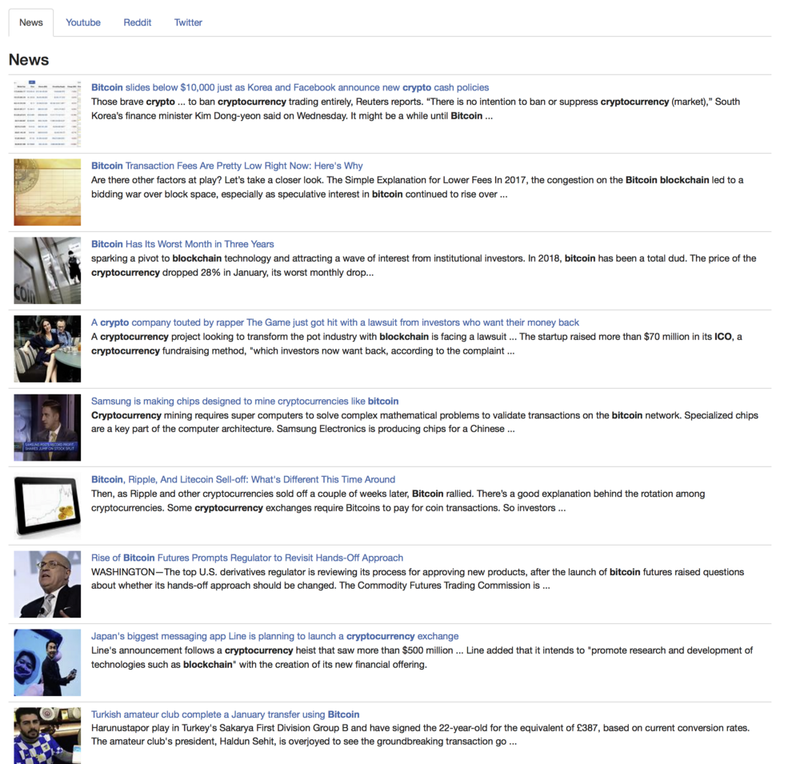 We’ve also created another separate page just for all cryptocurrency news in general. If you want to get regular updates on crypto, to be the first to know the latest news about crypto, you can check this page directly. This is just the beginning. 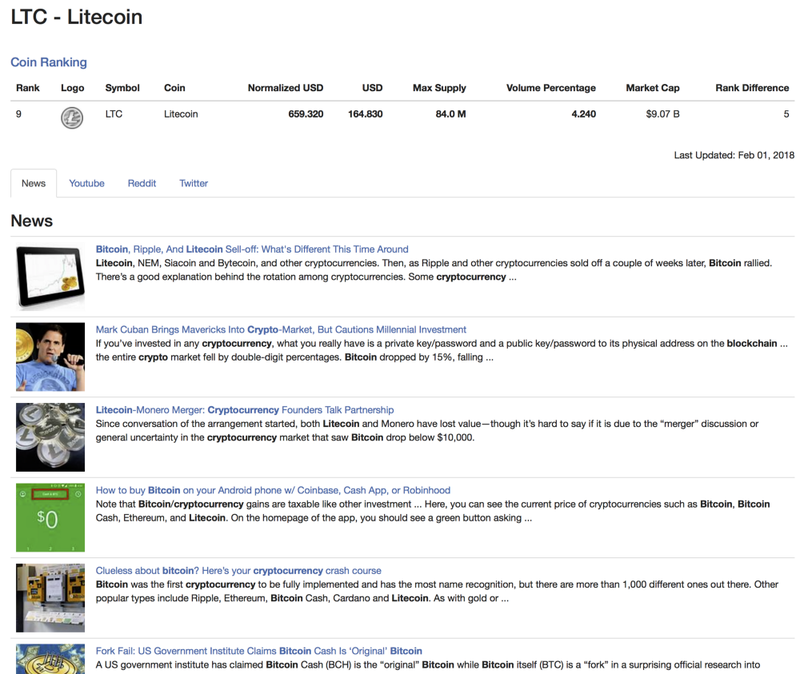 We would love to hear your favorite sources you use for fundamental research that we can add in our coin pages. We are always listening on our social media. Please spread the word. If we all can spend time doing some fundamental research before buying a coin, we can easily hodl these coins during uncertainty. Therefore, when the real bad coins are filtered out, the crypto space will flourish with proper and lucrative coins. Have fun trading cryptos and Happy Coining! P.S. We are not responsible for any trading loss. Please consult your financial advisor for suggestions. P.P.S. If you enjoyed and learned from this article, please share with others in the social media and clap 👏🏽👏🏽👏🏽 to help others find the article. Thanks in advance. About http://Coining.AI: We are building Artificial Intelligence Driven Crypto-Currency Tools using a Revolutionary Proprietary Platform. http://coining.ai/goodbuys.html: Prospective short/medium term good coins to buy based on high trading volume and lower price. http://coining.ai/altcoins.html: Prospective alt-coins with low price and potential to increase in price. You have to be Social to be a better trader! Introducing #CoiningAI #Cryptocurrency #SocialRanking — combining #YouTube / #Twitter / #News buzz, active #Reddit users and #exchange adoption. CFTC Chairman: “As you invest remember: caution, balance & DYOR.” What the heck is DYOR? Bitcoin plummeting again? What happened this time? Copyright © 2019, Coining.AI Blog. Proudly powered by WordPress. Blackoot design by Iceable Themes.